Technology has the ability to enrich and improve just about every aspect of modern life, from providing terrific entertainment to bolstering productivity. There are a number of gadgets that can enhance personal safety for people of all age groups and demographics as well, offering better peace of mind for loved ones. The "Internet of Things" has become a really hot topic in the last couple of years and one of the companies leading the charge is Belkin with its WeMo line of home automation products. These provide convenience for a "smart home" configuration, but they can also be incredibly useful for personal safety reasons. WeMo-compatible products include the WeMo Insight Switch, WeMo Maker, and the NetCam HD+ Wi-Fi Camera. 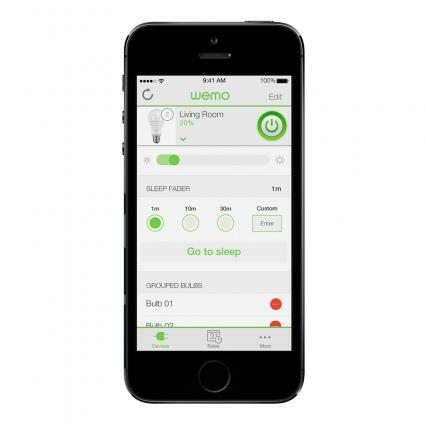 The WeMo products can be configured to work remotely via an Android or iOS app, sending notifications and alerts based on events that occur within the system. For instance, an alert can be sent to the user when the motion detector is activated. With the WeMo Keychain Sensor, an alert can be sent when it comes within range of the home network. In either instance, this could indicate that a child has returned home from school, safe and sound. Where to Buy: The full family of WeMo home automation products can be purchased from Belkin.com with most prices ranging from $20 to $120. A very common problem among many drivers is fatigue. Falling asleep at the wheel is incredibly dangerous, both for the driver and for all the other vehicles on the road. The Alert Band is a Bluetooth-enabled band that is worn around the driver's forehead and it is designed to be an early warning system for detecting driver fatigue. The Alert Band works by monitoring and analyzing brainwaves, predicting when the driver may unexpectedly fall asleep. A warning system is in place to arouse the driver and the Alert Band can also be connected to family, friends and social networks to provide notifications. It could be particularly useful for truck drivers, taxi drivers, and long-distance commuters. Where to Buy: The Alert Band ($249.99) will be available for purchase through the Impecca online store when it launches in May 2015. Dashcams have been popular in markets like Taiwan and Russia for a number of years and are gaining in popularity in North America as well. They can record accidents and other notable events while on the road, providing evidence for insurance claims and other investigations. The PAPAGO P3 dashcam can record in full HD 1080p with a 130-degree wide viewing angle, saving the videos to a memory card. This is similar to other dashcams. What makes the P3 different is that it also comes equipped with several driver safety features including a lane departure warning system (LDWS), a driver fatigue alarm, and a front collision warning system (FCWS). Where to Buy: The PAPAGO P3 can be purchased on Amazon for about $160. Bicycle riding safety is incredibly important. Consumers can pick up suitable protective pads, reflective clothing and bike helmets for this purpose and the same can be said for a variety of other similar action sports. What happens when a person is involved in a major accident and loses consciousness? Attaching to just about any helmet, the ICEdot Crash Sensor will detect "critical impacts that may leave you incapacitated." It works in tandem with a smartphone app using Low Energy Bluetooth (BLE). Should "critical forces" be detected by the sensor, an alarm is sounded and an automatic SMS text message can be set to a pre-determined emergency contact. This text message can include GPS location data if available so that he or she can send help. Where to Buy: The ICEdot Crash Sensor can be purchased for $119 through the ICEdot online store. There are a variety of GPS and cellular-based child tracking products and services on the market, but they typically require a monthly service fee. A more affordable alternative is called BuddyTag, which is designed to work within closer proximity of the child instead. The small tag fits in an accompanying wristband that the child wears. This connects to the parent's iPhone or Android smartphone via Bluetooth using the mobile app. The BuddyTag sends an alert to the phone if it gets out of range and the child can press the panic button on the wristband to alert the parent or guardian of a threatening situation. Each BuddyTag also has a unique Child ID that can help to reunite parents with their children if they do get separated. Where to Buy: The BuddyTag can be purchased from MyBuddyTag.com for $39.99 with a wristband. It is important to remember that gadgets and devices like those described above are simply tools that can be utilized to improve personal safety, but they still require common sense and proper planning in order to be the most effective. While technology can help, safety must begin with sound choices.